When it comes to paper mails, my husband is a total mess. You can find his mails lying around in every corner of our apartment. After weeks of constant nudging if I ever get him to ‘organize’ them, all he do is to transform them from ‘one huge messy pile’ to ‘multiple neat piles’. And don’t be fooled, the ‘one huge messy pile’ didn’t happen with magic, I go around the house collecting all of them and put them in front of his eyes (for weeks). We do have multiple store-bought mail organizers sitting somewhere, but he hardly uses them. I had all the required material at my home, so I got to work without wasting any time. 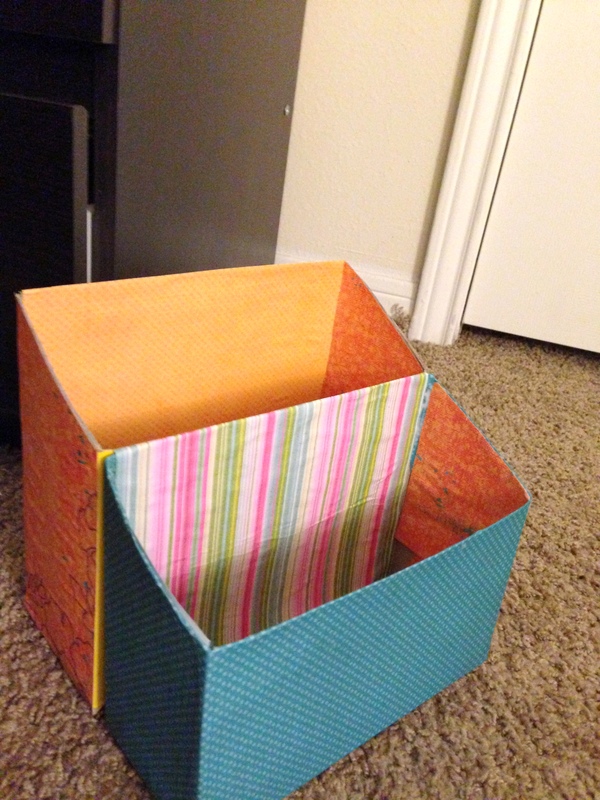 This was one of the quickest and easiest DIY projects with great usability. 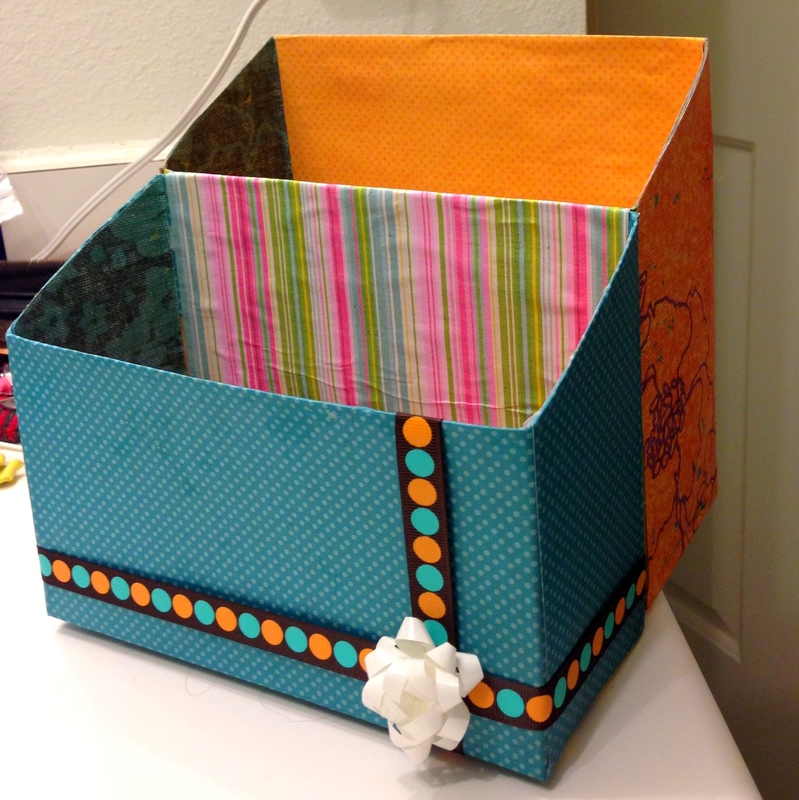 From reading this post to actually start using this organizer should not take more than 2 hours of your time (given you have the material required handy). 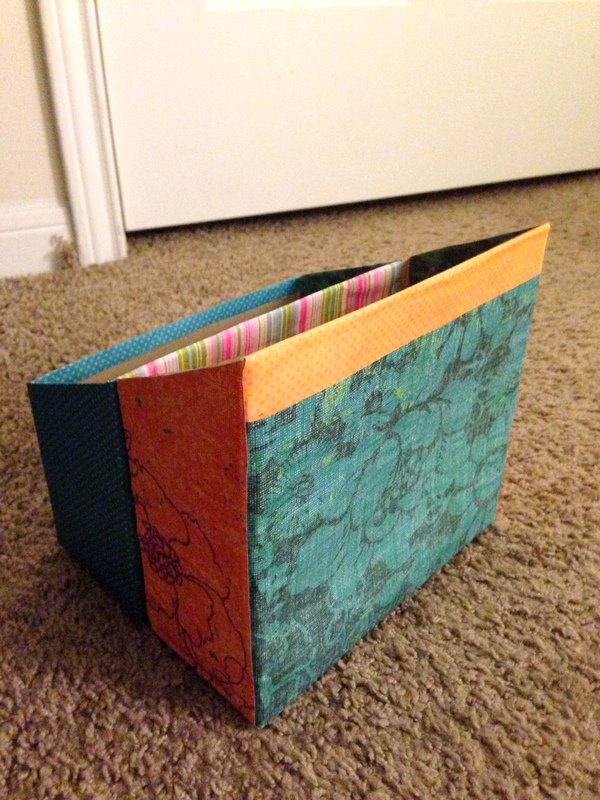 You can use your imagination and be creative on using different colors/ patterns of scrape book paper to give your project an entirely different look. 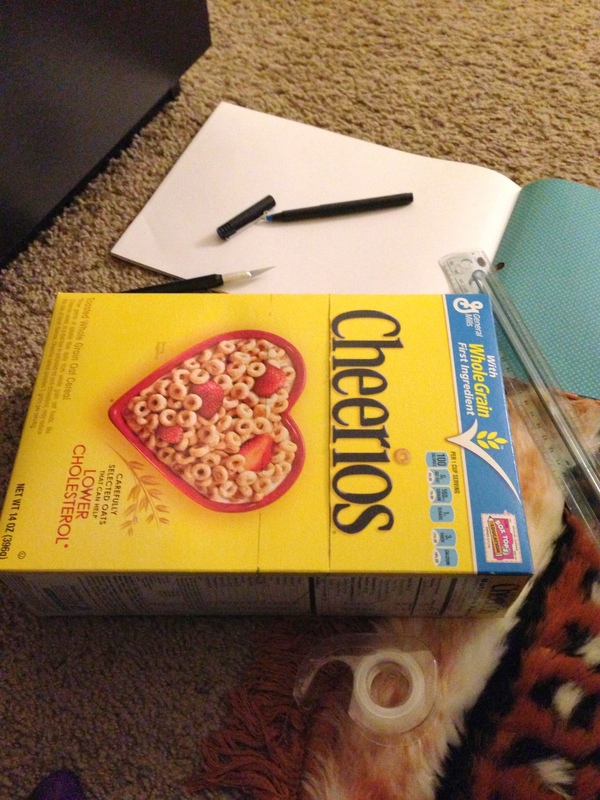 Tape and close the open end of cereal box properly. Cut around the markings creating 2 boxes with different heights. 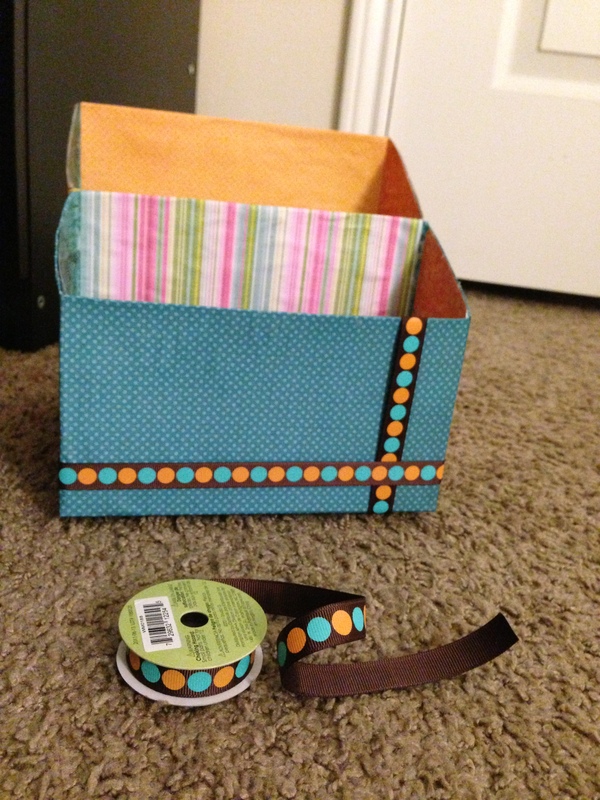 Use some satin ribbon and/or embellishments to decorate your organizer. Disclaimer – This is not my intellectual property. I saw this method online at a blog but couldn’t find that same blog to provide link. I will update this post with the link as soon as I come across that blog again. 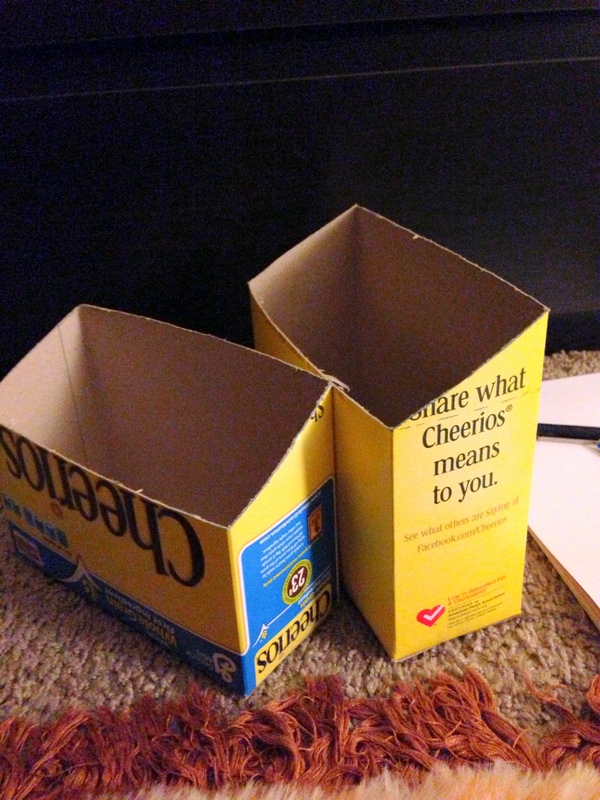 There are multiple blogs on internet about making mail organizers from cereal boxes with the same basic idea. Hey very creative. Really loved the way you utilized those unwanted boxes. I was searching for articles to buy hanging mail organizer and I came across your post. I request you to come up with some more posts like these. 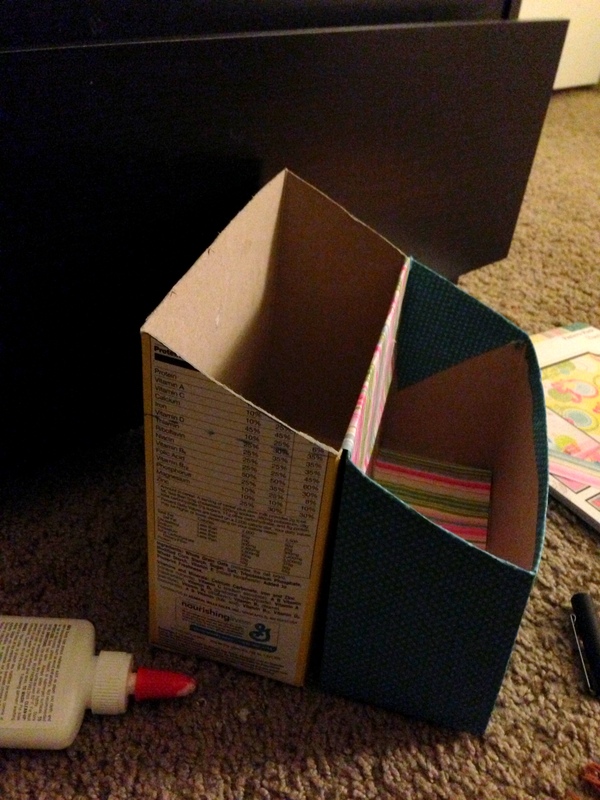 What a lovely idea, a good use for old cereal boxes too. Thanks Caroline! I am pro-recycling, I do composting at home so no kitchen waste as well. These kind of up-cycling projects do help the mother earth.